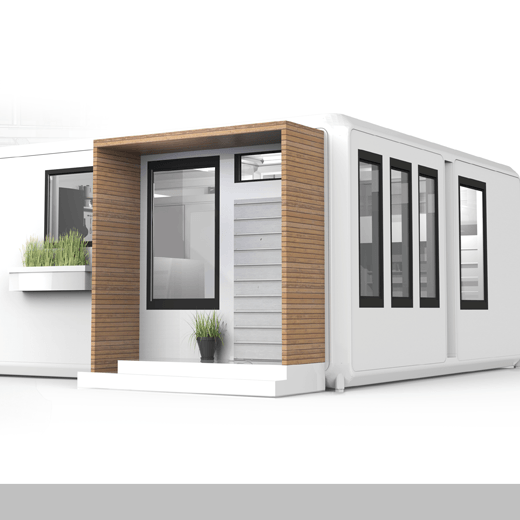 CUBE^3 is a modular housing system that addresses the needs of a variety of residents, from single adults to small families, and small retail spaces. The goal was to create a sustainable, integrated mixed-use development that includes affordable housing, mid-range units and small rented retail spaces. The modular approach provides the opportunity to grow or downsize housing by adding or subtracting units or amenities as a resident’s income or resources change. The home-building project was guided by a few core principles: accessibility to resources and support systems and a sense of community, connection and collaboration.